Different varieties of hot chocolate may help to soothe an upset stomach, depending on the cause of the condition. Some naturopaths recommend dark chocolate for certain types of stomachaches. Hot beverages made with milk can also be soothing. If you have an upset stomach, consult your physician before trying any home remedies. All chocolate contains flavanoids, a rich antioxidant that might help to protect you from some diseases and illnesses. Dark chocolate often contains more flavanoids than its milk chocolate counterpart, although it depends on the way the chocolate was processed. Some physicians, such as Dr. Mehmet Oz, recommend dark chocolate to speed up your bowels. You may also relieve a stomachache caused by bacteria, such as food poisoning, with dark chocolate. If your stomachache is a symptom of indigestion or heartburn, milk may help relieve your symptoms. Milk or yogurt may help reduce acids that cause heartburn and an upset stomach. Warm milk is also a home remedy to help with heartburn and indigestion. If you are not lactose intolerant, consider making your hot chocolate with milk instead of water for an upset stomach. However, in some people, milk may cause bloating, nausea and other gastrointestinal problems. Use dark hot chocolate mix to get the most benefits. Not only does dark chocolate help to soothe an upset stomach, but it also has a number of other potential health benefits. Dark chocolate may protect you from heart disease because the flavonoids fight free radical damage to your cells. Dark chocolate also helps to lower your blood pressure and bad cholesterol. 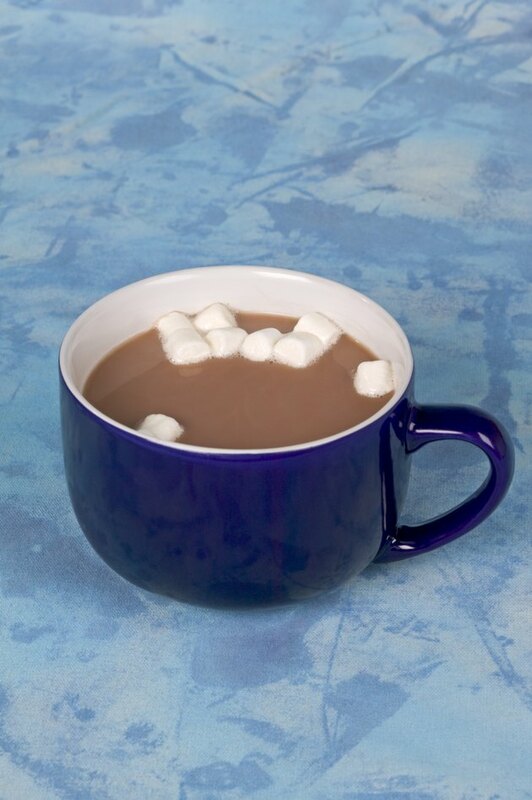 Try to use a hot chocolate that contains the most cocoa content. Although hot chocolate may help to relieve your upset stomach, there are other more common, natural remedies for a stomachaches. According to the University of Maryland Medical Center, many health care experts recommend ginger for nausea and research supports the use. Drink ginger ale to soothe an upset stomach. Peppermint may also help relieve some forms of nausea. Eat peppermint or drink peppermint tea. Salty snacks, such as crackers or pretzels, might also help to settle your stomach. Is Chocolate Bad for Low Thyroid?